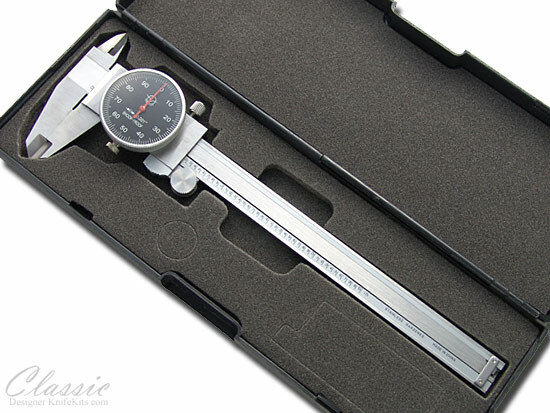 These are top quality precision stainless steel dial calipers, originally designed for the high tolerances required in the Aerospace industry. Accurate to .001. Smooth roller adjustment measures up to 6" at 0.100/revolution. 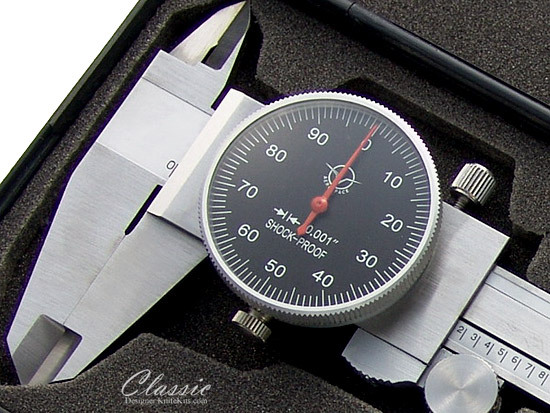 If you work with precise components and within strict tolerances, this is a must-have tool. Measures O.D., I.D. and depth with easy one-hand movement. Shock-proof design and comes with a sturdy, cushioned carry box (shown above). Calipers may not look exactly as shown. Due to manufacturing differences they may have a white face with black lettering.